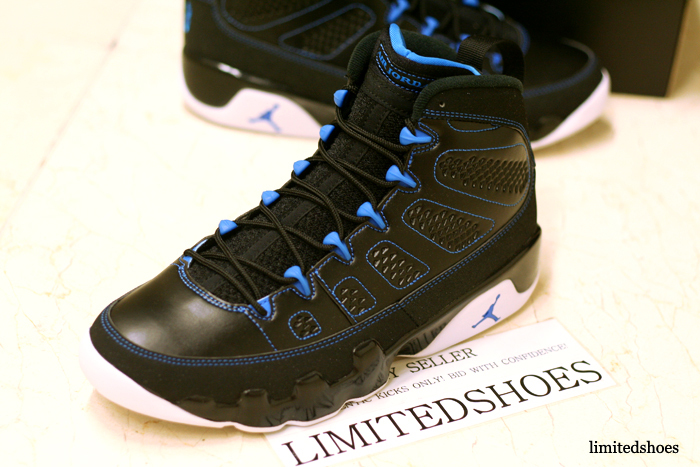 The Jordan Brand will reissue the timeless Air Jordan IX this fall in a variety of both old and new colorways, including this Magic-inspired pair seen here today. 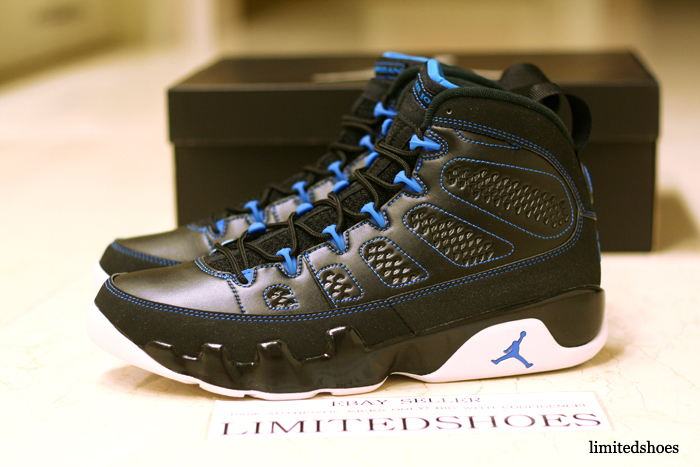 The all new Air Jordan 9 Retro sports a non-traditional color block, working with contrast stitching throughout the upper. 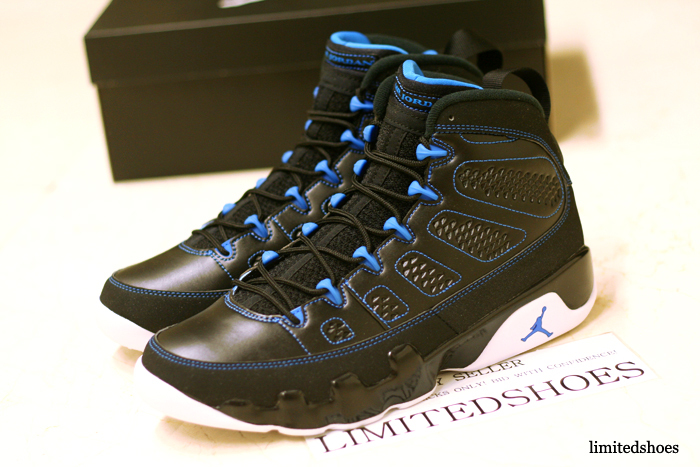 We see a black base with hits of photo blue on the eyelets, tongue liner, stitching and heel detailing. 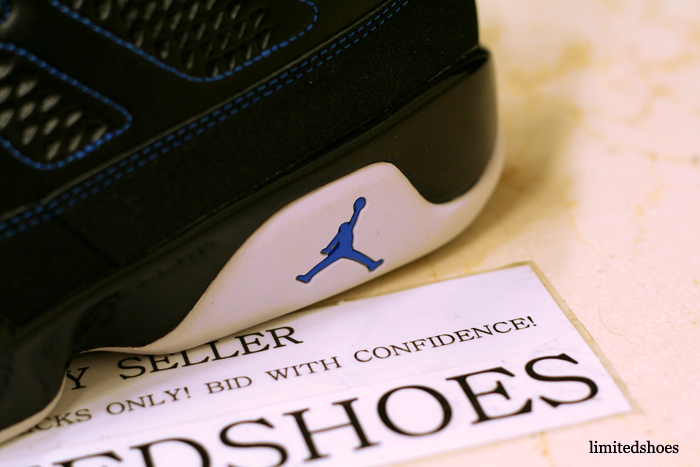 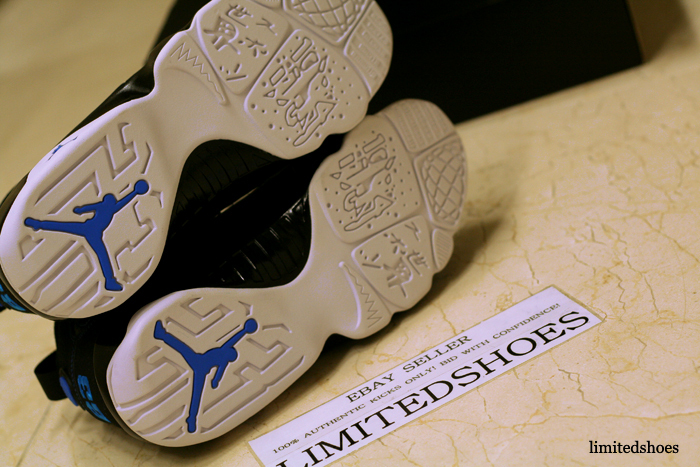 A white sole sits below, working together with photo blue Jumpman branding. 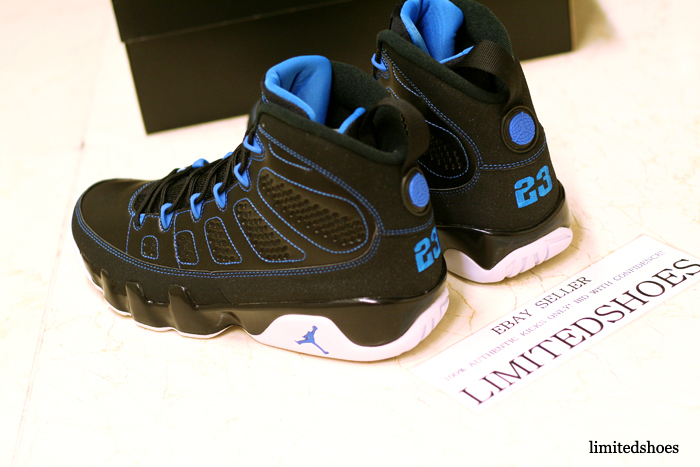 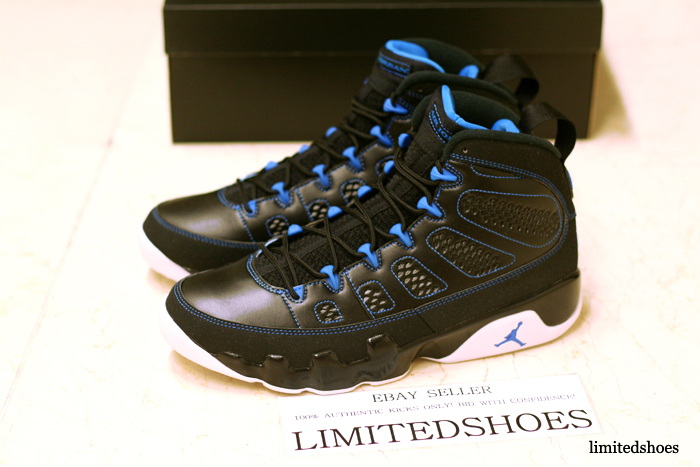 The Black/White-Photo Blue Air Jordan 9 Retro is set to release November 3rd att Jordan Brand accounts nationwide.